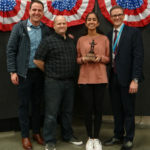 On Thursday evening, January 24th, the annual Klein ISD Rodeo Art Exhibition Open House was held at the Klein Multipurpose Center. 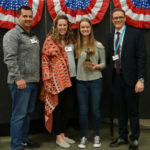 During the event, a special ceremony celebrating the district elementary, intermediate, and high school Best of Show and Gold Medal as well as the high school Special Merit award recipients was held. 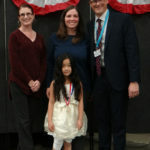 Superintendent, Bret Champion, presented the award recipients their trophies and medals. Following is a list of student artists and their awards.